Located in northwest Philadelphia, the Springside School is perched on a steep slope in the Wissahickon Creek Watershed, a major tributary to the Schuylkill River. 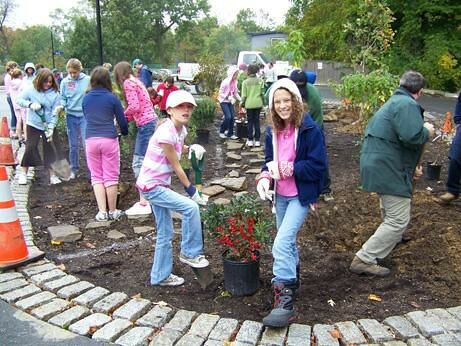 Like many schools, Springside had an interest in improving on-campus stormwater management, and providing on-site environmental education opportunities for their students. 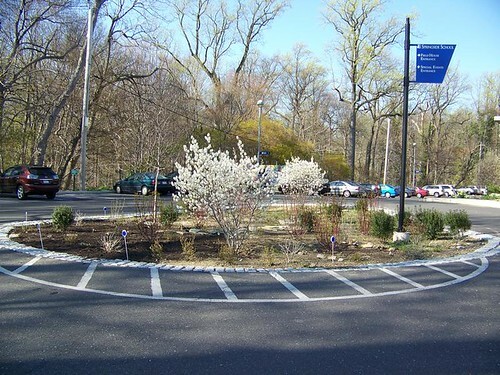 Thanks to funding from the Schuylkill Watershed Initiative Grant, they were able to get technical assistance from the Pennsylvania Horticultural Society (PHS) and the Philadelphia Water Department (PWD) to get started. 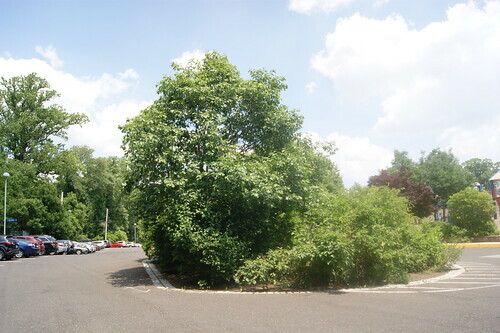 The traffic circle in the lower school parking lot had long been a concern for the facility. Originally intended to direct and control vehicle traffic flow, the circle was confusing and at times used for parking, which further complicated matters. 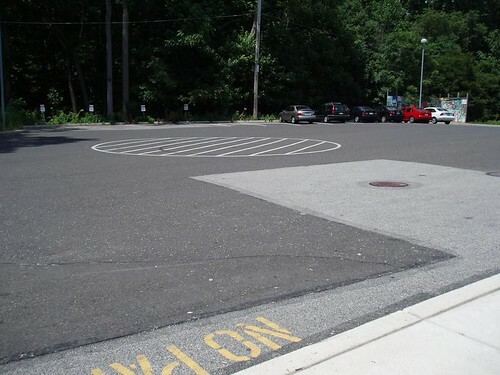 Additionally, the large paved area created significant runoff that carried sun-heated parking lot pollution directly to a storm drain. With a design plan in place, the Springside maintenance staff eagerly began ripping out impervious asphalt to ready the site for a rain garden. 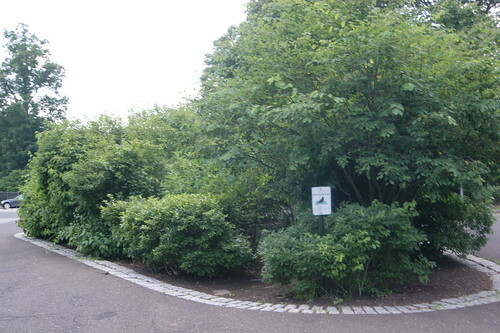 A rain garden is a slightly depressed area of vegetation designed to collect, slow and infiltrate stormwater, filtering pollutants before they can reach groundwater or nearby streams. Undeterred by a drizzly fall day, lower school and 6th grade students planted over 50 native species recommended by PHS to attract birds and pollinating insects. Plants were selected based on their ability to survive drought, heavy rain events, and exposure to salt and other parking lot pollutants. Incorporating science lesson plans, lower and middle school students now monitor runoff levels, test soil, study plant/animal interaction and the importance of the hydrologic cycle, and assess vegetation and composition of native plant communities. A second project at Springside focused on stormwater runoff from the upper and lower school building roofs. 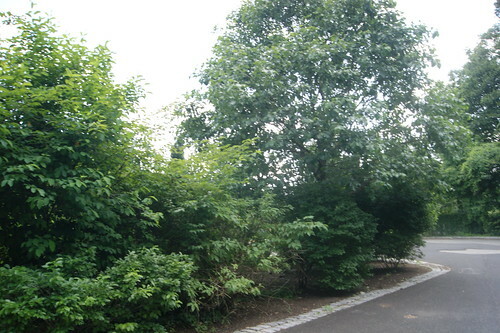 The location near the main entrance provided the ideal opportunity for a prominent landscape showcasing the treatment of roof water from surface flow and disconnected downspouts. Working with the art department and a visiting artist program, students are completing an amazing sculptural project that will collect the roof water and filter it through newly installed rain gardens. Highly visible to parents and visitors, this project promotes Best Management Practices (BMPs) available to almost any homeowner or land manager. Springside School has successfully made stormwater runoff management an integral, visible, and attractive part of their landscape.